Among the many mosquitoes that call Columbia and the surrounding area home, the Asian tiger mosquito is by far the most feared and talked about. 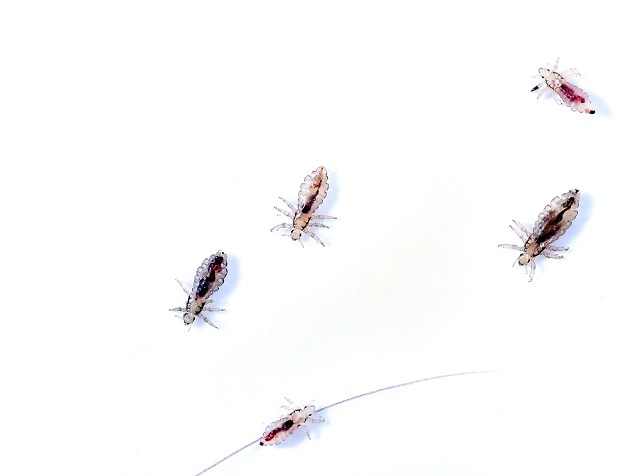 Maybe this is in part due to its unique black and white striped appearance which give this pest its name. Mosquito Squad of Columbia receives a substantial number of inquiries about the Asian tiger mosquito and how to get rid of the little bugger. We put together a question and answer story that covers the top 10 concerns regarding this mosquito. This will put to rest any misconceptions regarding the species and make you more aware of the type of mosquito you are dealing with. Question #1 – Why has the tiger mosquito become such a nuisance lately? Has it always been around and I didn’t notice it? Some mosquito species have visited the U.S. over the years and their existence has been short lived due to incompatibility with our climate or competition from our native species. However, this is not the case with the Asian tiger mosquito. Even though this species originated in tropical and sub-tropical climates it has acclimated itself quite well to varying conditions all over the U.S. Research indicates this is due to their prolific breeding habits and their secretive lifestyle. The Asian Tiger has proven to be much more difficult to control than any of our native mosquito species. This mosquito conforms to its surroundings very well. They are equally at home in a well maintained, landscaped yard as in an unkempt yard. The Asian tiger mosquito adjusts to its surroundings and is able to find some type of habitat to their liking no matter where they are. Question #2 – How many eggs does an Asian tiger mosquito lay? These mosquitoes have the uncanny ability to lay hundreds of eggs in minimal space which makes controlling the species even more difficult. One female Asian tiger mosquito can lay up to 500 eggs during her 3 week life which can spawn as many as 12 generations of mosquitoes in a year. Question #3 – Does the Asian tiger mosquito require water to breed? This species of mosquito is what is referred to as a “container breeder”. The Asian tiger mosquito can breed in a wide variety of containers, and in smaller sized containers than other native mosquito species. This mosquito will lay eggs in holes and crevices in trees, around the base of planters, within discarded tires and any object that holds water. Often times Asian Tigers will lay their eggs near stagnant mud holes, pools, and in tree crevices and holes. They will also use any container that will eventually pool water. 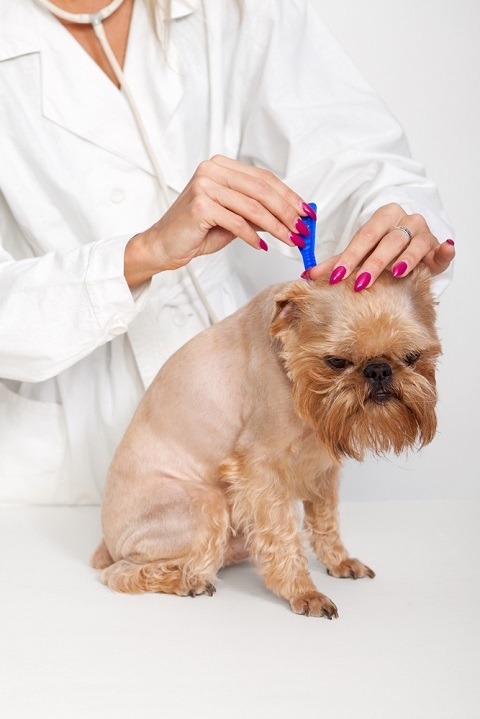 Question #4 – What happens if/when the Asian tiger mosquito bites you? 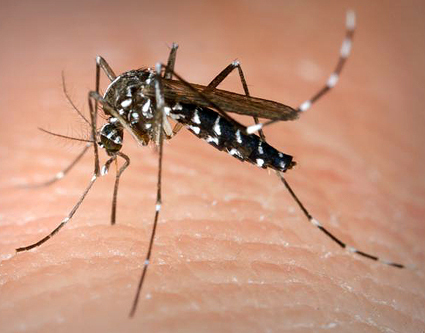 The Asian tiger mosquito is known to be a more aggressive feeder than other mosquito species. 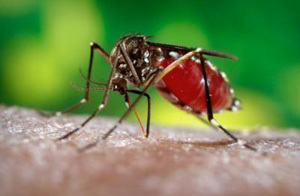 Just one tiger mosquito may bite up to ten times trying to complete its hunt for a blood meal. They are suburban and urban pests and have been known to swarm people much like a bee or yellow jacket does. 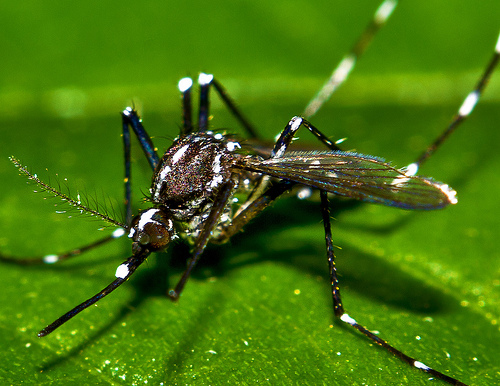 Since the Asian tiger is more aggressive, the bite from one of these mosquitoes is said to be more painful than that of other mosquitoes. 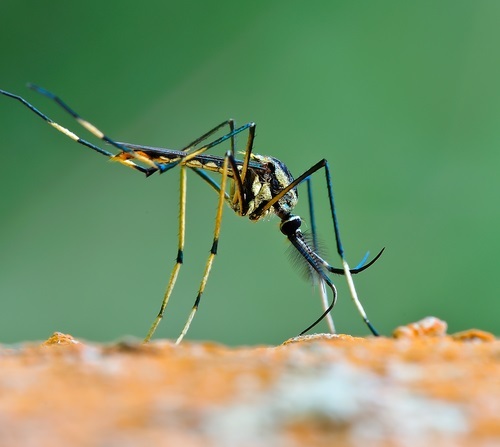 Asian tiger mosquitoes can also be sneaky in obtaining a blood meal and will often bite our ankles, legs and backs or undersides of arms where they are less likely to be noticed. This mosquito has been linked to West Nile virus, La Crosse and Eastern Equine encephalitis in the U.S., so it is important to avoid the mosquito if at all possible. The Asian tiger mosquito population continues to grow and strengthen globally. Question #5 – What are the feeding times for an Asian tiger mosquito? Easy answer, all the time! The Asian tiger mosquito, Aedes albopictus, is also called the “forest day mosquito”. The reason it is sometimes referred to the forest day mosquito is because this species is a day biting mosquito. While most other species typically bite from dusk to dawn the Asian Tiger is on the prowl during the day. Outdoors, they typically only bite during the daytime which is sun-up to sundown. The Asian tiger mosquito will sometimes bite after dark, but only when there is illumination from outdoor lights, or when they get indoors. Question #6 – Is the Asian tiger mosquito deadly? The Asian tiger will feed of numerous hosts in the cycle of getting enough blood to aid in the development of her eggs. She can pass dangerous mosquito-borne diseases on to humans such as St. Louis encephalitis, La Crosse encephalitis and West Nile Virus. Mosquito borne illnesses can lead to death and should not be taken lightly. This mosquito is a known vector of the deadly Dengue fever and Yellow fever in areas outside the U.S. Question #7 – Will the Asian tiger mosquito eventually become the dominant species of mosquito here in the U.S.? Since the arrival of the Asian tiger via a fateful delivery of used tires from Asia bound for Texas, the species has quickly moved to regions all over North America. With its invasive tendencies and aggressive behavior the Asian tiger mosquito can out compete and even possibly eradicate other species with similar breeding habits over time. Question #8 – How far will an Asian tiger mosquito travel during its lifetime? This mosquito usually never travels further than ½ mile of where it breeds. Since it stays close to home, your best defense is to keep them out of your yard! Question #9 – Do male Asian tiger mosquitoes bite people? No, only the female mosquito in all mosquito species feeds on blood. Males are vegetarians and only feed from plant matter and nectar and are actually somewhat of a beneficial pollinator! Question #10 – How can I control the Asian tiger mosquito? Safe mosquito practices such as keeping your property free of debris and potential mosquito breeding areas and treating your property will keep the mosquitoes away from your home and yard. Mosquito Squad of Columbia offers protection against all species of mosquitoes, including the Asian tiger. Our safe and effective barrier spray program is designed to keep you mosquito free the entire season. Sunny Florida remains a go to vacation destination for many Columbia, SC residents. The white beaches, the azure blue water and the local flavor within Florida’s cities and towns has always made it a popular place to leave all your cares behind. Floridians and those drawn to Florida already have a long list of the reasons they love the sunshine state. This summer there will be one notable addition to the list of things they aren’t so fond of called a Gallinipper. The proper name for a Gallinipper is a Psorophora ciliata. The term “gallinipper” isn’t recognized by most entomologists, but over the past century, the word, and the Gallinipper itself, entered popular legend through Southern folktales, minstrel shows and blues songs which spoke of a giant mosquito with a nasty bite according to a report from The Institute of Food and Agricultural Sciences at the University of Florida. This mammoth mosquito has a bite so painful it has become the stuff of legends with references of the mosquito going all the way back to 1897. It is also referred to as a monster mosquito, and a giant mosquito which are the best ways to describe this skeeter. A Gallinipper is roughly 20 times the size of a regular mosquito with an adult size comparable with that of a quarter! Physical characteristics of the Gallinipper include hairy back legs with zebra like patterns and yellow scales on the thorax of the insect. This mosquito is feared because not only because of its enormous size but its aggressive feeding habits. Gallinippers feed day and night unlike the dusk to dawn biting mosquitoes we are accustomed to dealing with. Their bodies are strong enough to bite through clothing, and when you get bit by one of these giants it really hurts! Floridians who live in more rural, grassy areas that are prone to flooding are more likely to come in contact with these mosquitoes than city dwellers which is good news for tourism. Meet the Gallinipper. The largest known biting mosquito of the U.S.
Psorophora ciliata is the largest known biting mosquitoes in the U.S. Even though these mosquitoes are normally seen in Florida, this year’s population prediction could make them more menacing than usual simply because of their sheer size and expected numbers. Gallinippers are floodwater mosquitoes which lay their eggs in low-lying areas with damp soil and grassy overgrowth. Tropical storms in Florida caused a record number of these mosquitoes last summer, whose eggs to lay in wait until this season. If these areas flood following a dry period, the eggs will hatch and produce very large numbers of adult mosquitoes. These mosquitoes are known to be so veracious even in their larval stage they will eat tadpoles, small aquatic prey and have even been reported to exhibit cannibalistic behavior and eat larvae of their own kind! This mosquito is not reported to carry any diseases that can be passed onto us or our pets. The only positive attribute of the Gallinipper is the fact they also feed on the larvae of other mosquitoes including the Asian tiger mosquito and other mosquitoes that are known vectors of mosquito-borne illness and disease. These mosquitoes prove the old adage that bigger is better wrong, but the silver lining is that an explosive Gallinipper population will help reduce the numbers of mosquitoes that could potentially make Floridians very sick. Warmer weather is just around the corner and that means you and your family will be spending more time outdoors. Don’t let mosquitoes show up as an uninvited guest and ruin your special time. Mosquitoes are not only bothersome; they also carry a myriad of mosquito-borne illnesses that can make you very sick. Mosquito Squad of Columbia urges you to take back control of your yard by following the 5T’s of mosquito prevention and control. What are the 5T’s you may ask? Mosquito Squad has put together a catchy little rhyme that outlines the importance of the 5 ways to effectively prevent and control mosquitoes. Following this advice will keep you from singing the blues this mosquito season. 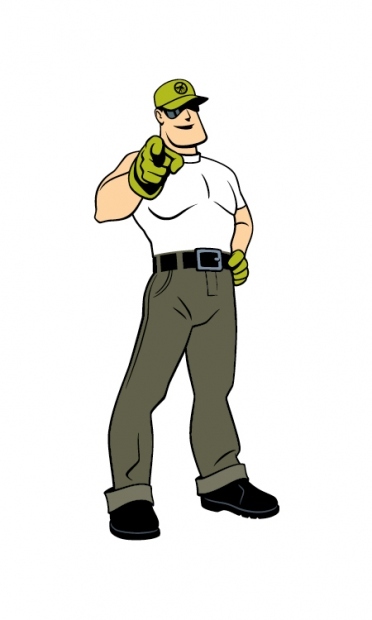 Along with mosquito prevention and control we also protect your home from fire ants, fleas, ticks, and flies. Our program is backed by our expertise and a 100% satisfaction guarantee. Top 10 things you need to know about Asian Tiger mosquitoes in Columbia, S.C. If you’ve been bitten by the Asian Tiger mosquito – you know it. It hurts! And, this species of mosquito is both a day feeder and extremely aggressive. They will often swarm and feed more aggressively than the typical mosquito. The Asian Tiger mosquito is alive and thriving in Columbia which spells big trouble for us. The aggressive painful bites pale in comparison to the fact that Asian Tigers can be carriers of West Nile Virus. 1) They are day feeders. Some researchers refer to the species as the “Forest day mosquito” for this reason. The proper name for the species is Aedes albopictus and they will prey on their hosts from sun-up until sun-down looking for their next meal. This is unusual for a mosquito which generally bites from dusk until dawn, so with the Asian tiger mosquito you have to be protected on all your daytime outings in order to stay bite free. 2) The female Asian tiger lays her eggs near water, not directly in the water as other mosquitoes do. Often times Asian Tigers will lay their eggs near stagnant mud holes, pools, and in tree crevices and holes. They will also use any container that will eventually pool water. They have the uncanny ability to lay hundreds of eggs in minimal spaces, which makes controlling the species more difficult. Simply turning over vessels and containers that do hold water turns into a probability challenge; you have to turn over and throw away any items near your home and on your property that have the ability to hold water in the near future to control the egg laying habits of this species. In some cases it becomes a guessing game. 3) You can spot them in a crowd. The physical characteristic black and white markings of this mosquito make it easy to identify. The coloration is key to its namesake; the tiger. 4) They can transmit disease. Since the Asian tiger will feed of numerous hosts in the cycle of getting enough blood to aid in the development of her eggs, she can pass dangerous mosquito-borne diseases onto humans such as St. Louis encephalitis, La Crosse encephalitis and West Nile Virus and can also infect our pets with roundworm parasites. This mosquito is a known vector of Dengue fever and Yellow fever as well. 5) They can be persistent. Unlike other species of mosquitoes that are easily swatted away never to return, the Asian tiger will aggressively seek a host and if the blood meal is cut short, she will return again and again until her goal has been achieved. 6) They are quickly acclimating to cooler temperatures. Originally the species is native to tropical and subtropical regions, but is quickly becoming more adapted to cooler temperatures which can spell trouble. Adaptation to cooler temperatures will mean a longer season controlling them and the quick spread of the species into cooler areas of North America. 7) An invasive species indeed. Since the arrival of the Asian tiger via a fateful delivery of used tires from Asia bound for Texas, the species has quickly moved to regions all over North America. A recent survey showed at that point it had already established itself in 36 states, and here in the South it is quickly becoming a common name. 8) It could eventually overpower other mosquito species to take the lead. With its invasive tendencies and aggressive behavior the Asian tiger mosquito can out compete and even possibly eradicate other species with similar breeding habits. This species gives new meaning to the saying “only the strong survive”. 9) It has a history of causing epidemics. The Asian tiger mosquito can be named for causing the Chikungunya epidemic on the French Island of La Réunion in 2005–2006. This epidemic caused 266,000 people to become infected with the virus, and 248 of those infected died. It was also to blame for another outbreak of Chikungunya in an Italian province in 2007. This concerns researchers here in the US about the likelihood of the species causing a similar epidemic on American soil. 10) Fight the bite. Keep in mind that the Asian tiger mosquito is controllable and preventable. Mosquito Squad of Columbia offers protection against all species of mosquitoes, including the Asian tiger. Safe mosquito practices such as keeping your property free of debris and potential mosquito breeding areas and treating your property will keep the mosquitoes away from your home and yard. Our safe and effective barrier spray program is designed to keep you mosquito free the entire season. The Asian tiger mosquito is not only a known vector of mosquito-borne illnesses, but is also very aggressive in its nature and is also aggressive in how quickly the species is spreading. Since its ill-fated arrival in 1985 in a shipment of used tires from Asia bound for Texas, the mosquito is quickly becoming an invasive threat to the United States and other countries as well. The species continues to permeate our ports via the tire trade scattering this vector around the globe at a dangerously pace. For developing countries the surge of disease-carrying mosquitoes could be very dangerous. Malaria was once pandemic but has been completely eradicated in the United States and other countries. However, developing countries don’t have the resources available to fight a vector that is growing at such an alarming rate worldwide as the Asian Tiger mosquito. A recent article from the National Institutes of Health and published by the US National Library of Medicine pointed out that the Asian tiger mosquito (Aedes albopictus), is currently the most invasive mosquito in the world. It is very important medically because of the aggressive manner in which it feeds, and the fact that it also feeds during the day unlike other mosquitoes. It is also responsible for transmitting many mosquito-borne viruses such as LaCrosse Encephalitis, West Nile Virus and Dengue Fever. The global tire trade is constantly introducing additions to the already mounting Asian tiger population. These international tire deliveries are harboring the Asian tigers eggs hidden within the tires, a continuous cycle of potential disease ready to hatch. Mosquito Squad of Columbia is waging war on Asian tiger mosquitoes and fighting the bite! A Genetic Algorithm for rule-set production (GARP) has been put in place to determine the ecological niche of the Asian tiger and predict the global ecological risk map for the continued spread of this mosquito species. Although, this method seems quite complicated it is really quite simple. By combining this analysis with the risk associated with the importation of tires arriving from countries already infested with this mosquito, and the countries that have already been invaded, the NIH is able to come up with a list of countries most at risk for future introduction to the species. 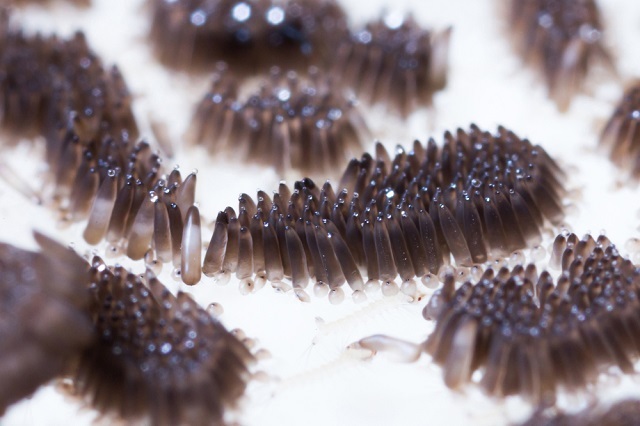 Although we can’t control the transport of Asian Tiger Mosquito eggs in a global economy, we can control the breeding of this mosquito in our own backyard. There are a number of ways to greatly reduce your chances of reproduction of the Asian tiger mosquito on your property. Mosquito Squad has compiled a simple checklist of the 5T’s to mosquito-proofing your backyard. 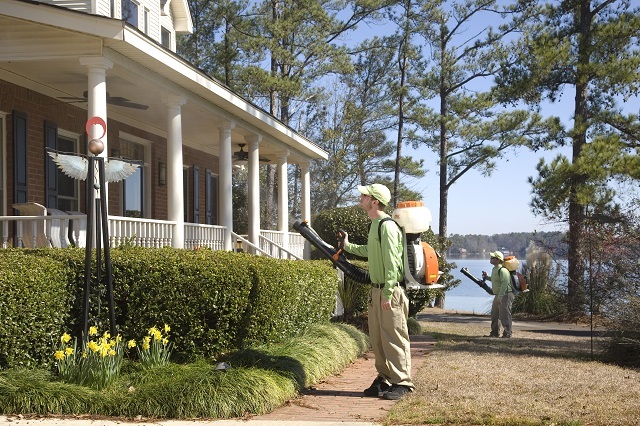 Along with no-nonsense precautions this list includes having your yard professionally treated to eradicate and control the spread of mosquitoes. Mosquito Squad of Columbia offers a season-long deterrent for all mosquitoes trying to make your backyard their lair. 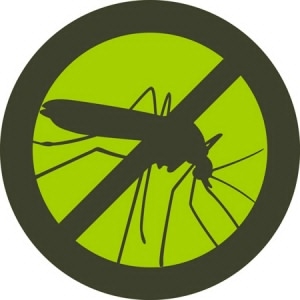 From our safe and highly effective mosquito barrier spray program to our automatic mosquito misting systems we can keep the mosquitoes population from spreading in your neck of the woods. Contact us today to learn more, and keep in mind Asian tiger mosquito control and prevention begins with you. Mosquitoes ruined Susie and Jonathan’s wedding. Don’t let this happen at your Columbia area wedding. Are you getting married this Spring? The weather has been amazing. 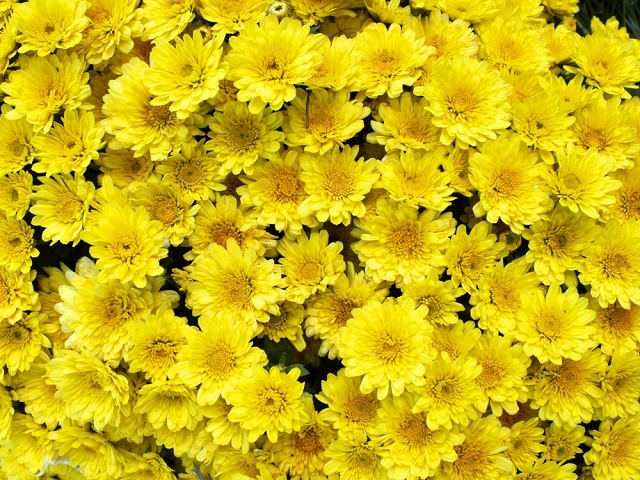 The winter was mild and the gorgeous flowers bloomed early and are filling the air with glorious scents. Then, Zwap. Slap. Oh crap. Mosquitoes just ruined your wedding day. Don’t let this happen to you. Call Mosquito Squad now. Just like it’s not too early to be planning photographers, caterers, and flowers; it’s not too early to line up your special event wedding mosquito control to protect you and your guests from mosquitoes at your outdoor wedding or reception. Hurry! Don’t wait. (803) 345-7575.